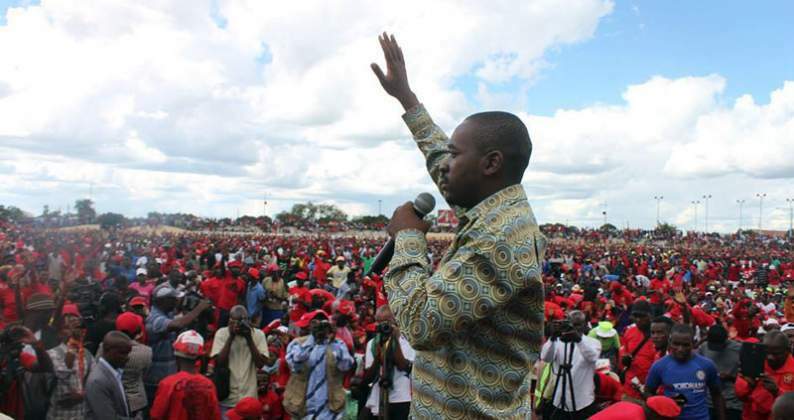 Jostling for positions has intensified in the MDC ahead of its elective congress in May. Party bigwigs are likely to take each other head-on at the congress as they battle for supremacy in the 19-year-old opposition outfit. It's already a dog-eat-dog affair in the MDC with those aspiring to contest for positions openly canvassing for support within party structures. At the top, party leader Nelson Chamisa is likely to be challenged by either one of his deputies Elias Mudzuri and secretary-general Douglas Mwonzora, or both. Another battle of titanic proportions is in the offing for the position of deputy president. The MDC has three deputy presidents. While Welshman Ncube's position appears to be safe as he has support from all the Matabeleland provinces, the same cannot be said of the other two deputy presidents — Morgen Komichi and Mudzuri. Komichi might have to battle it out with deputy national chairperson Tendai Biti and secretary for elections Murisi Zwizwai. Also in the mix for the three positions are women's assembly boss Lynnet Karenyi-Kore, Lillian Timveos, treasurer-general Theresa Makone and former Labour minister Paurina Mpariwa. Zwizwai said he was not in a position to comment as nominations have not been done by the provincial executives. "We all await the process to begin so that we can be able to tell where the people want to deploy us. It is not up to me to decide where I want to be," Zwizwai said. Karenyi-Kore said: "I am what I am not because I canvassed but because I was deployed by the people". "The real fight is on the VPs where several candidates have shown interest but Biti having stood by Chamisa during the campaign period has better chances although Zwizwai is also in there with a shout," a source said, adding that the likes of Mpariwa, Makone and Karenyi-Kore are pinning their hopes on the possible introduction of the women's quota in the presidium. For the position of national chairperson, the insiders say, incumbent Thabitha Khumalo could retain her position without a challenge as no one has so far shown interest. She is likely be deputised by Manicaland provincial chairperson David Chimhini who has reportedly shown interest in the position. Another battle of monumental proportions is looming for the position of secretary-general where deputy treasurer -general Charlton Hwende, Bekithemba Mpofu and Sesel Zvidzai will likely battle it out. On the other hand Masvingo provincial chairperson, former Economic planning minister Tapiwa Mashakada, and Gift Banda will contest the position of treasurer-general. Epworth Member of Parliament Etherege Kureva is reportedly eyeing the position of deputy treasurer-general. MDC organising secretary Amos Chibaya faces stiff challenge from youth leader Happymore Chidziva while the late Morgan Tsvangirai's former spokesperson Luke Tamborinyoka, current party spokesperson Jacob Mafume and Zengeza West MP Job Sikhala are eyeing the information portfolio. Contacted for a comment over his ambitions going into the congress, Chibaya said "it is for the people to decide but I am happy with my current position". On his part, Sikhala said the appetite for positions has destroyed a number of politicians' careers. "I will be comfortable to work in any position the people will give me even in the branch," Sikhala said. He added that the position one holds in the party is not the one that determines capacity but results. "It's like people running to a big law firm hoping that the name of the law firm will establish oneself but I am doing well at my small law firm so I can do good with whatever position," he said. Another intriguing fight will be in the youth assembly where Lovemore Chinoputsa, the current secretary-general, will square off with Obey Sithole. The jostling is not only pronounced in the party's top echelons but in the provinces and structures below as well. In Harare for example, sitting provincial chairperson, Eric Murai, is facing a serious challenge from Glen Norah MP Wellington Chikombo.